​​Eyelash extensions are a necessity to some and will not feel complete without them. Others, on the other hand, will consider lash extensions as an afterthought and only apply them on very special occasions. Though this is a costly beauty routine, one will be able to stay for longer without the need to think of how the eyes look like since they are already taken care of. They might alter you daily makeup plan: When you have lash extensions on your eyes, there are some adjustments that you need to make in the beauty products that you normally use. Some beauty products such as tubing mascara and pencil eyeliners have to be shelved until you remove the lash extensions. Oil-based facial cleansers will also be avoided for as long as the lash extensions are in place. The outcome of the lash extension depends on what is being used in the application: The type of lash extension that you have chosen will determine how will look in the end. If you choose to use some substandard brands, you do not expect to look like the celebrities you hold in so much esteem. Ask your aesthetician to help you in choosing the right quality of lash extensions as these will ensure that you have a great outcome after the application. 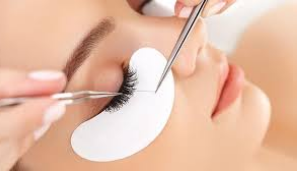 Lash extensions that have been professionally applied will last for up to eight weeks: If lash extensions are applied by a professional and are well taken care of after application, they will stay in great shape for a period of two months. You can always go for refills in between if you notice a part of the lashes that is not looking so good. Lash extensions are made from different materials: A lash extension can be made from silk or mink. There are some that are made of synthetic mink as well and the choice of eyelash extension will depend on personal preference and the financial status as well. Some lash extensions may lead to allergic reactions especially those that are made from animal hair. If you suffer from allergies, you should ask your aesthetician for professional advice when buying. Wrong lash extension application will lead to the loss of your natural lashes: Do not go for lash applications in cheap spas where the aesthetician does not know the professional way of applying lashes. You may spend less, but you will end up losing your natural lashes. Get a professional to apply the lash extensions if your natural lashes matter to you. If anything goes wrong during the application, seek medical help: if you notice any anomaly after the lash extension application, like a lash being stuck inside the eye, seek immediate medical help. You should not wait until it is too late to avoid causing further damage to the eyes. Maintain a high level of hygiene: To avoid the buildup of dirt in around the eyes which will eventually lead to infection, maintain a high level of hygiene. You can use a mild cleanser to clean the area around the lashes to remove every foreign matter that is trapped in the lashes. Well maintained lashes will not only make you look beautiful but will also give you good returns on your money. Invest in good quality eyelash extensions and have them applied by a professional and you will love your new look.